Dynamic wrinkles - Both products can safely and successfully treat wrinkles that are caused by muscle contractions. These include frown lines, forehead creases, crow’s feet and neck bands. Square Jaw Reduction - This is probably the easiest and safest to change a square face to a slimmer face by relaxing the masseter muscle (chewing muscle). Liquid face lift - The micro-injection method on the whole face is one of the breakthrough in this treatment. It produces instant and natural face lift, reduce fine line and pores size within 3-6 days. Excessive sweating or Hyperhidrosis treatment - Botulinum Toxin is FDA approved to treat under arm sweating also. Other areas like palms. Clients can usually see results within days of the treatment, but the full effect can take up to 10 days. Visible results have been shown to last up to 3-5 months (and up to 1 year for hyperhidrosis.) Results last longer after you have received consecutive treatments over time. There is no downtime. None. There may be redness at the injection site but it is usually gone within a few minutes. The procedure can take 15 minutes or less. Since there is no downtime, a client can get injections and then immediately go out in public without fear of being obvious that they have received treatment. 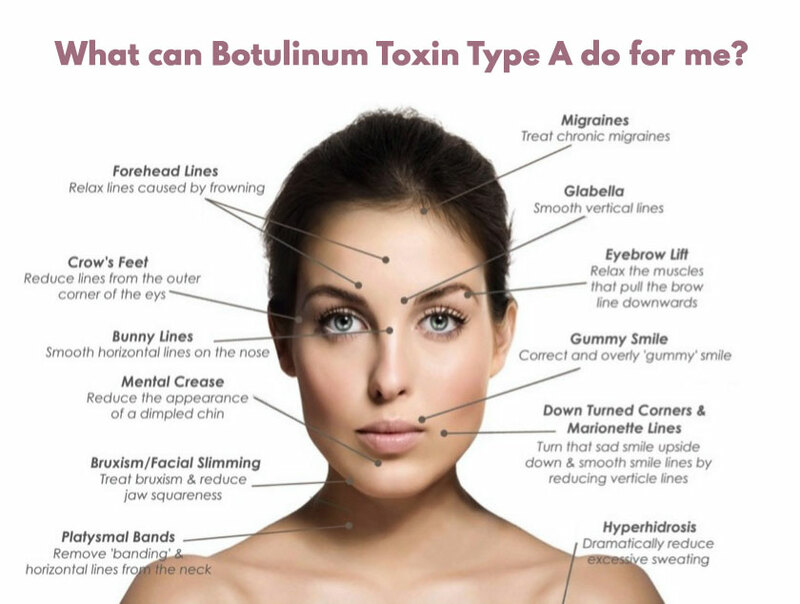 Botulinum Toxin and Dysport are injected with a very tiny needle. Most clients say that the injections feel similar to a tiny pin prick. I Don’t Want To Look “Frozen” Without Any Expression. Will That Happen? Dr. Sylvia will restore a natural and youthful facial balance. Most patients want to look natural, relaxed and refreshed without looking frozen. Side effects are rare and not permanent. As will all injection procedures there can be some minor bruising (that can be easily diminished with makeup), redness. However, most patients do not experience any side effects at all.